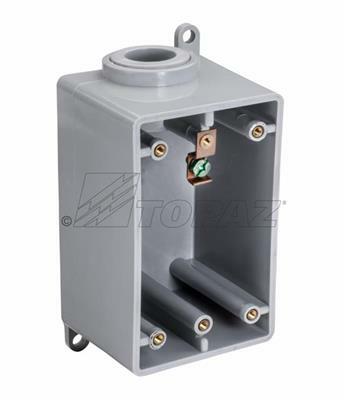 Topaz Single FDS Type Boxes are used for straight line conduit lines and splices and can be paired with a single gang electrical device cover. The surface mounted electrical box with one grounding lug has one conduit hub on the short wall side. UL listed.